Lake Garda is definitely one of the most popular lakes of Italy. 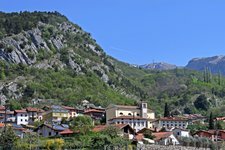 Its most northern part with mighty mountains and pristine waters belongs to the Trentino. Live webcam View towards the lake. 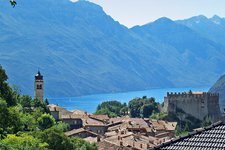 Johann Wolfgang von Goethe was here during his journey through Italy, painters and poets visited this piece of land in the past centuries, and also the peer.tv team had a closer look at the two villages of Riva and Torbole at Lake Garda, and this area also aroused our enthusiasm. The picturesque harbours preserved their original and fascinating atmosphere. The rock faces and mountains in the surroundings are perfect grounds for those who love sports. And also a worldwide famous olive oil comes from these grounds. Of course we tested both the rock faces, and the fine olive oil. When some 10,000 years ago majestic glaciers were moving across the valleys, the biggest inland water of Italy was formed. 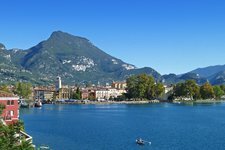 4 km wide in the north and 17 km in the south, Lake Garda covers an area of 370 km², a length of 52 km and a depth of up to 350 m. Only the most northern part with the villages Nago, Torbole and Riva del Garda however belongs to the Trentino region. A lovely promenade actually connects the villages and invites to relaxing walks along the sunny northern shore of Lake Garda. 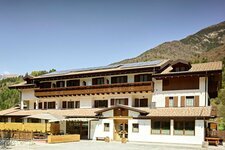 From the very first moment you will feel the Mediterranean atmosphere gently mingling with the fresh Alpine climate. Because here you are in between high mountains (some of them reach altitudes of more than 2,000 m) and nevertheless there are colourful olive and lemon trees growing all over the area. 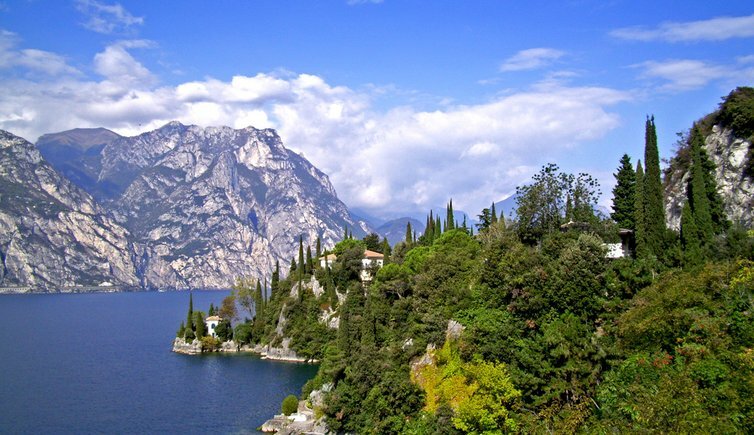 This is also the reason why this part of Lake Garda is so popular among hikers, climbers and mountain bikers alike. Moreover, it is also the perfect venue for windsurfers and sailors. Ideal wind strengths and conditions render the northern part of Lake Garda a true paradise for them!